A few weeks back I was raving about Tupperware. You can read about my experiences with my micro pressure cooker here. You guys know that when I find something that I love I like to share. My mama taught me that it is a good thing to share with others so today I want to share a bit more. My sister used to sell Tupperware. This was quite a few years ago but I still have some of those pieces in my cupboards that she sold me. It was the time when home parties were all the rage and it was a great way for women (mostly) to have a night out and enjoy the fun of a home party. I also vividly remember being disgusted at how dirty my mother in law’s Tupperware salt and pepper shakers were one time when Chris and I were in college and stopped by for a visit. If I remember correctly they were not home and I took the lids off and put them in soapy water to soak. Guess what? I forgot to finish the job and when they came home she found them soaking and I think it did nothing to ingratiate me to her. Thank goodness she got over that and we had a great relationship but whew—that was definitely a huge mistake on my part. Because I was raving my friend and dealer pusher consultant Mary asked me if there was a product I wanted to try as a product tester. I told her I had looked at the Micro Pro Grill but it was pretty pricey and I just can’t justify spending that amount of money . A couple weeks later guess what arrived on my doorstep? So of course I had to put it to the test. 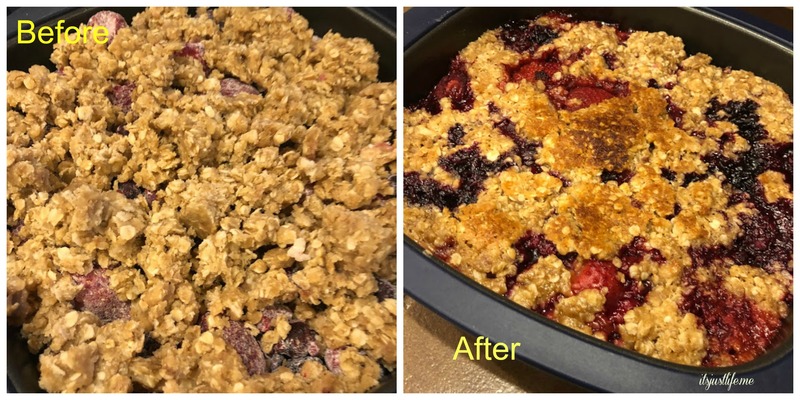 The first thing I made was Berry Crisp which turned out to be AMAZING! Notice the caps and exclamation point. I used that for Audrey. You can use the Micro Pro Grill two ways -either as a casserole dish or as a grill. This recipe used the casserole feature and used frozen fruit. 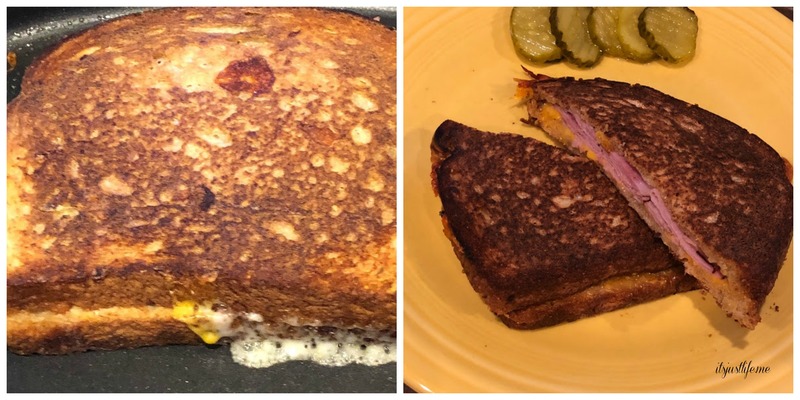 The next thing I tried was grilled sandwiches or paninis. These were so easy and excellent. 3 minutes on one side, turn them and just about a minute on the second side. 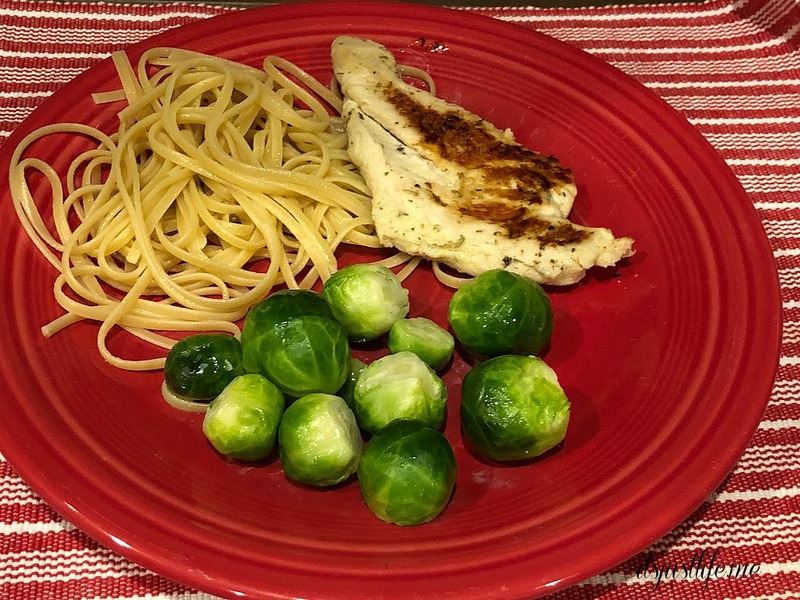 I still needed to try the actual grill part to see how it did meat and my choice was a simple chicken breast which turned out really tender and juicy. I was honestly surprised at how well it cooked and kept the meat moist. I told Mary I loved it but couldn’t spend the money on it and was sending it back. She told me it was a gift and I was overwhelmed with her generosity. Of course I had to write a post and thank her for it. It is just the perfect size for Chris and I and the grill feature is such a great thing to use when we don’t feel like firing up the outside grill . Like with all Tupperware products it seems like there are a million recipes and YouTube videos that you can find to help you use the product even more. I even thought about bringing it to the beach with me this past week but decided that was ridiculous. Gone are the days of Tupperware jello molds being the main stay of Tupperware sales. 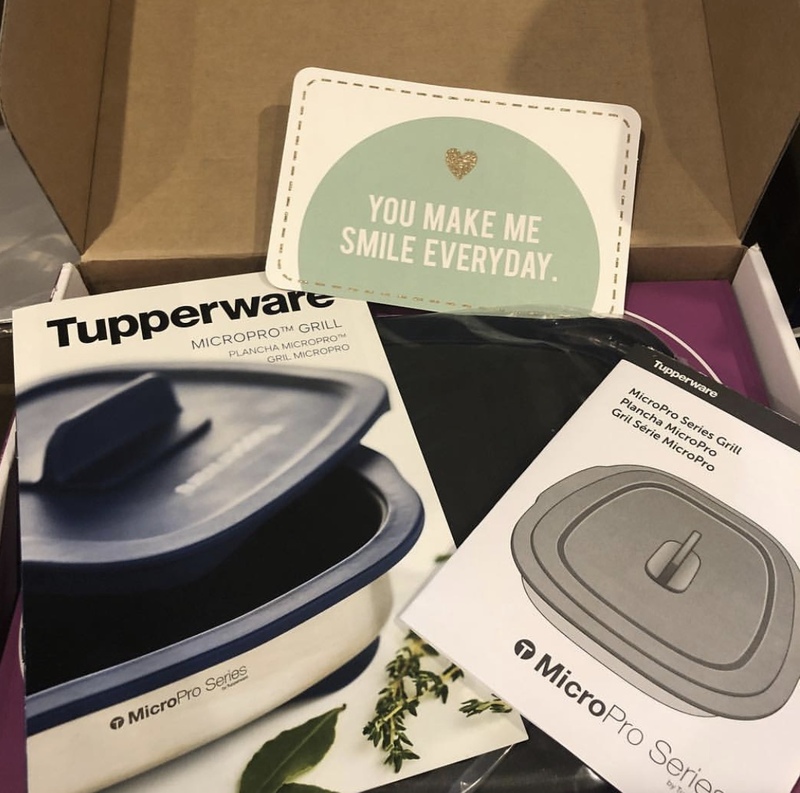 They really have improved their line and keep up with the needs of the busy household by creating more products that make cooking fun and easy. To show my thanks to Mary I am having an online Tupperware party. If anyone is interested feel free to let me know and I will send you more info. Absolutely NO obligation. That is definitely not how I operate. What item do you use to make your cooking more enjoyable and perhaps easier? I would love to read about it in the comments so remember to Comment for a Cause. I think I attended ONE Tupperware party…years ago! Yes, it definitely seems that the company is keeping up with the times. Tupperware makes a grill: who knew?! Sweet of your friend to gift you with that! Yes—those parties were a thing back when I was younger. Mostly a chance to get together with friends and spend a night out ! I canNOT believe how many pieces of antiquated Tupperware reside in my cupboards!! Have been thinking of clearing it all out/gifting all to a local ministry run thrift shop. There are some of those pieces which, like those S&P shakers, have become a tad(?) gross but most are a bit more recent. “Home parties”…..ah yes, what we did years ago when the “kids” were kids!!! I love Tupperware and am leased to see they are keeping up with the times. A grill, who would have thought! Wow, Tupperware has come a long way since the days when I hosted and attended those at home parties. I still have my old pieces from the 70’s and 80’s and can’t believe they have held up so long. I too hosted Tupperware parties and made a lot of purchases back in the day. I have to admit they have grown with the times. How kind of your friend to gift you this great product. I’ll have to go look. It has really changed over the years! A lot of classics but a lot of new additions. Hey, Mary, the “Tupperware lady” is a little bit awesome. Yeah, I’m a guy, but I’ve received some Tupperware gifts from my sisters over the years, and I’m a fan. My all-time favorite is the pickle elevator! Anyway, I actually bought, on my own (even though I am a guy), several large cereal containers (probably more than a decade ago), and the lids kind of disintegrated after several years. Beth Ann hooked me up with Mary, and she sent me replacement lids, at no cost, and they seem to be holding up. According to Mary, they had an issue with one production run of the lids. I was very satisfied with Mary’s customer service. I doubt I’ll try the microwave cooker, though, I’m trying to weed out my possessions. I had forgotten we got you hooked up with a Tupperware lady! I think it was Michelle who was the one I was using then. My friend Mary is in her “group” and came on the scene later. But she is spectacular as well! We still love the pickle elevator in our house as well. I almost couldn’t read past the CAPS and exclamation mark. But I did. I had no idea Tupperware made a product like this. Randy and I were just talking about Tupperware and how drying lids of plastic storage containers is no fun. I have Tupperware from my wedding that I have not yet used. In colors of orange, gold and avocado. Does that date me, or what? How useful! What a great friend. When you make brussels sprouts, if you cut them in half first they’ll shed some of the sulfur & increase your chances of success with those tasty cabbage balls. Sorry my caps and exclamation marks almost put you off. :-0 But I was excited. I do think that dates you a bit to have TW that you haven’t used in those colors. You could probably get some money from that vintage TW if you decided to part with it.